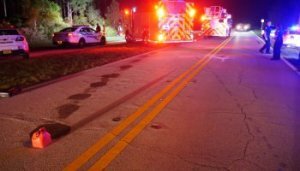 Lake Worth Woman Charged For Crash That Killed Kemisha Jeune And Injured One | Schuler, Halvorson, Weisser, Zoeller & Overbeck P.A. The former top lawyer for the Palm Beach County School District has been cited in a crash west of Lantana that sent a car into a canal and killed Kemisha Jeune, the Palm Beach County Sheriff’s Office said. The 66-year old, who lives west of Lake Worth, was at a red light on Winston Trails Boulevard and was turning right onto Hypoluxo Road when her Honda Fit collided with a Nissan Altima traveling west on Hypoluxo, the Palm Beach Sheriff’s Office. The Altima then struck a Toyota Tacoma driven by Kemisha Jeune, 20, of Wellington, who lost control and went through a metal guardrail and into a canal, where her car overturned, according to a report. Jeune was pulled from the water in critical condition, the report said. The sheriff’s office said she was later confirmed dead. The 66-year old, and the another victim listed in the report as Patrick Cajuste of Delray Beach, received minor injuries. In a court hearing, the 66-year old was declared at fault and cited for violating a traffic signal, according to court records. The court suspended her license for six months, fined her $1,000 and ordered that she attend 12 hours of driving school. The 66-year old said she never saw the Altima before striking Jeune’s car and sending it into the canal, and was shaken to later learn the woman died.